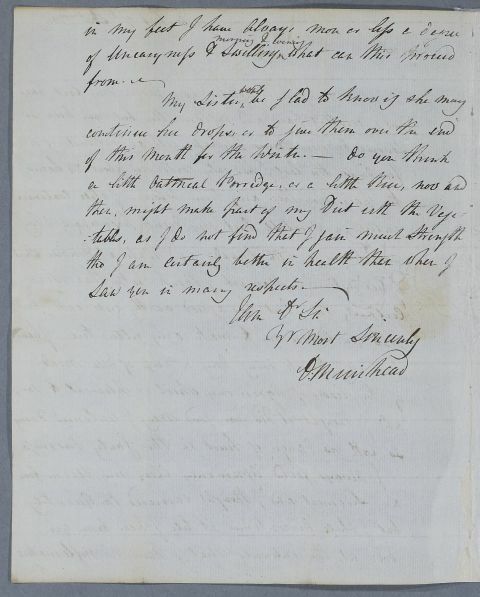 Letter from D. Muirhead, concerning his own case and that of his sister. 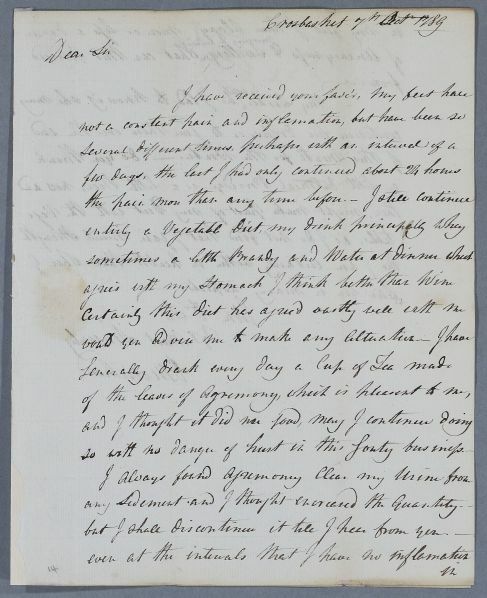 Summary Letter from D. Muirhead, concerning his own case and that of his sister. Case of Colonel D. Murhead, who corresponds directy with Cullen. 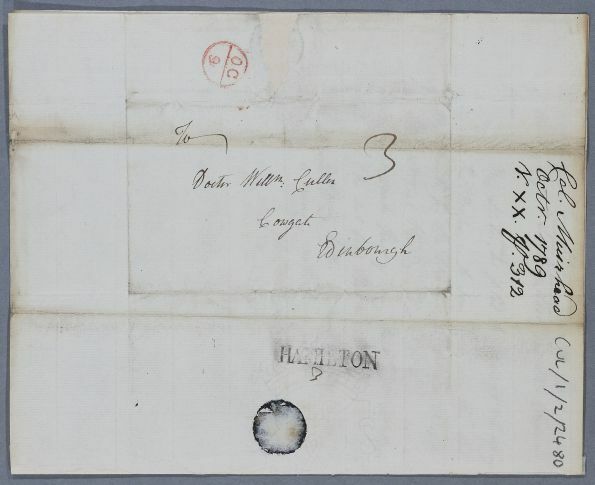 Case of the sister of Colonel D. Muirhead who is prescribed strengthening drops for her stomach. agrees with my Stomach I think better than Wine.